The landing point for most backpackers, the North Island is a great introduction to New Zealand although smaller than the South Island. In fact, no land is more diverse. You could be surfing in the morning and snowboarding in the afternoon without too much hassle. 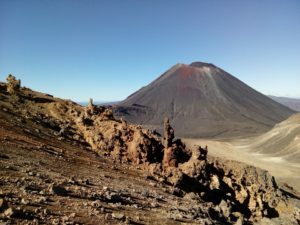 The North Island was also the most populated prior to European colonisation, so this is where you will find the richest traditional culture along with amazing geothermal activity. Take it in: you are now in New Zealand. The top of New Zealand is home to a spectacular sight. It is the meeting point of the Tasman Sea and Pacific Ocean, which is distinguishable by the blue and green waters meeting. 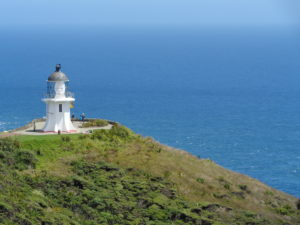 We suggest taking a day tour leaving from Paihia, instead of driving, to make the most of it. You’ll visit of the massive kauri tree forests, sand boarding and drive on the world famous 90 Mile Beach. If intense tubing through an underground cave network lit up by glowworms sounds crazy enough for you, then the Waitomo caving and black water rafting are for you! Choose from different caving adventures, including abseiling and doing a zipline tour. Immerse yourself in the luscious green grass hills of the most famous village in the Tolkien universe. 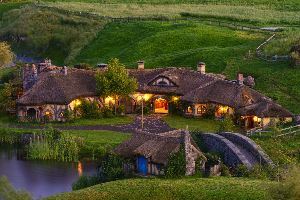 You’ll quickly realise that The Shire is incredibly detailed and full of stories, which your guide share during your 2.5h tour. Finish the tour at The Green Dragon tavern over an ice-cold beer. The huge volcano hides many secrets. For one, it is the location of Mordor, so is a must-see for any Lord of the Rings fan. It also hides a beautiful lake at the top, Emerald Lake, that begs to be photographed. 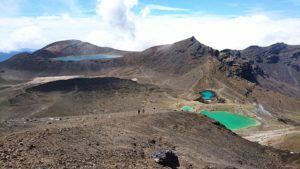 The one-day hike is one way only, so although the hike is free, you will have to book a shuttle back to your car or hostel. 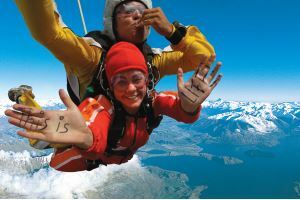 Tandem skydiving is one of New Zealand’s most popular activities. Strapped to an experienced instructor you will be freefalling for up to 1 minute before opening your parachute and enjoying the scenery. It is worth noting that add-ons like photos and videos will double the price of your jump. New Zealand’s most famous museum is free to visit and has fast free WiFi. That description alone should convince every backpacker in the country to visit this museum. But if you need more reasons, the interactive exhibitions are incredibly well made and educational. It is, for sure, a traveller’s favourite! 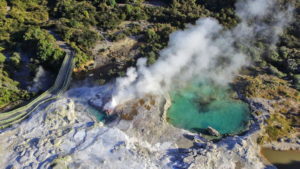 Rotorua is known for its thermal wonders, sulfuric pools, bubbly mud, natural hot creeks and geysers. Most of those wonders are located on private land turned attraction park, so get a ticket to one of them and explore it at your leisure. 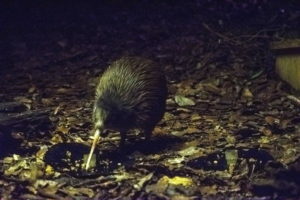 The New Zealand national bird is shy, nocturnal and flightless. Viewing it in its natural habitat is nearly impossible. 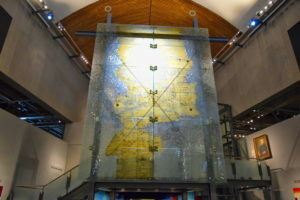 Many conservation centres open their doors to curious travellers for a great viewing experience.